In times gone by, a satisfied customer might recommend a company to their immediate friends and family. At most, they might be persuaded to carry a branded shopping bag, or place a window sticker in their car. The digital era has revolutionised brand advocacy. Social media in particular has fundamentally changed how customers and brands interact – consumers can directly applaud their favourite companies, and publicly vent their frustrations with others. However, this is a two-way process – social media also allows businesses interact with their brand critics and advocates. And, as 92% of consumers trust the recommendation of brand advocates, businesses should strive to keep their fans happy. Lush styles itself as an ethical alternative to big corporate brands, and as a result boasts scores of brand advocates. The company frequently uses Twitter as an efficient and cost-effective way of maximising the power of these loyal customers. Lush then re-tweeted it to 89,000 of their own followers. As a result, the post was seen by more than 100,000 people. A traditional advert would have been expensive and time-consuming to make, and most people would have viewed it with scepticism. 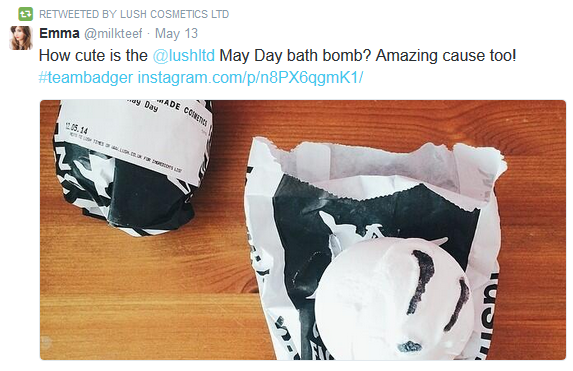 In comparison, it only took a moment for Lush’s social media team to share this post. As mentioned above, 92% of consumers trust customer recommendations – turning an innocent tweet into a highly valuable marketing tool. Top Tip – maximise the power of brand advocacy on social media by sharing good customer feedback with your own followers. The blogging world is an excellent place to find brand advocates – particularly for fashion and beauty brands. However, more mundane companies can also use the blogging community to their advantage. Asda’s social media team monitor online brand mentions closely. 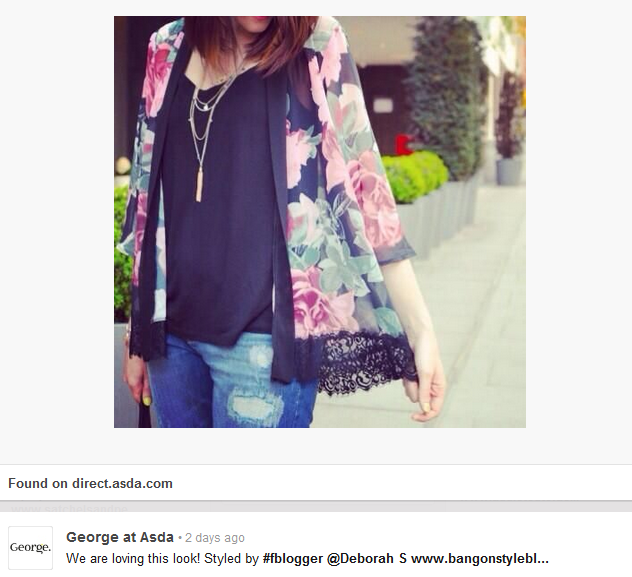 When a blogger posted a positive review of an Asda product on her blog, the team were quick to act. They promptly posted a link to the recommendation on a dedicated Instagram account, sharing it with their own followers. From the blogger’s perspective, Asda is rewarding them for their loyalty. Their blog will receive a boost in web traffic – and potentially in followers. This, in turn, is likely to increase their loyalty to Asda. However, by broadcasting the thoughts of an authentic and trustworthy brand advocate, Asda also benefits from the process. Top Tip – Promote blog posts from satisfied customers through your own social media channels, or feature them on your website. Some companies send their products to bloggers for free, in return for a positive review. However, due to online regulations, the bloggers must clearly state that they received some form of payment. As a result, these posts aren’t trusted by consumers. The key to effective brand advocacy is authenticity. Monitor the web for organic and positive comments about your brand – and then share them on your own social media channels or website. This article was written by Miranda Everard of Barrington Freight, a logistics company based in the UK.